Besides being recognized for its stunning scenery, and home to a variety of typical Peruvian highland species, it is also recognized as one of the most representative cities of our folklore, with more than 300 kinds of dances originating here, and amongst them the most famous being the diablada and the morenada. 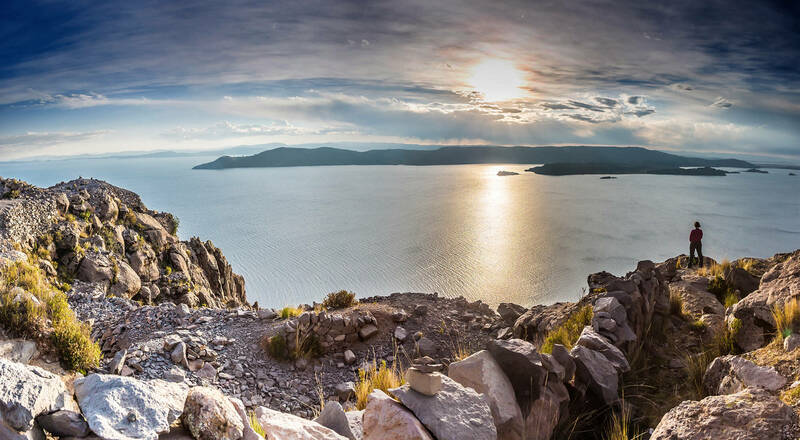 Famous for being the highest navigable lake in the world, this special place’s true value lies in its abundant high-Andean biodiversity and incomparable landscapes. It has an average altitude of 3812 meters and is located in the Collao plateau in the Central Andes between the territories of Peru and Bolivia. It is home to several islands, Taquile, Suasi, Amantani; as well as the floating islands of the Uros near Puno. According to Inca legend, the couple that would found the Inca Empire, Manco Capac and Mama Ocllo, emerged from the waters of this lake. A set of 44 floating islands made from dense beds of woven reeds, located in the area of the Titicaca National Reserve and 10 km from the port of Puno. The ancient community that first built these islands no longer exists, however, the current inhabitants of these islands still retain the customs and traditions of their ancestors, maintaining the floating islands and constructing their homes and schools on them. Their economy is based on fishing and related activities, handicraft production and especially tourism. Located 45 km from the regional capital Puno, and belonging to the Amantaní district, Taquile is recognized worldwide for its textile art, being proclaimed by UNESCO in 2005 as a Masterpiece of the Oral and Intangible Heritage of Humanity. One of the outstanding features of this island is the practice of cultural and experiential community tourism by providing homestay accommodation for visitors and sharing everyday activities against the background of the magnificent panorama and the lake. This magical island offers landscapes dotted with the remains of pre-Hispanic and pre-Incan temples and cemeteries. It is an island full of customs, folklore and textiles, similar to that of Taquile, with an incredible variety of designs. It also has handicrafts and braided ichu carved in stone. The main economic activities are agriculture and livestock, and cutting and carving utensils for everyday use. They make use of decorative elements in construction fashioned from granite rock from Llacastiti hill. The islanders celebrate their anniversary on April 9 with a three-day festival of dancing lights. This imposing Archaeological site is located 34 km from the city of Puno and is regarded as the largest Necropolis of pre-Columbian America and was declared a Cultural Heritage of the Nation by the National Institute of Culture. 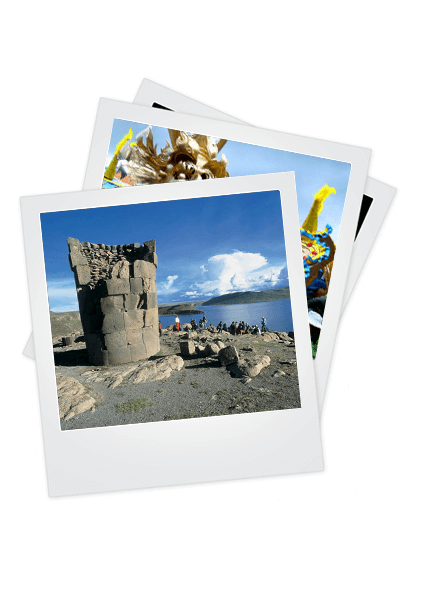 The main site offers the opportunity to investigate the mystical chullpas, gigantic funerary monuments whose height exceeds 12 meters that were built by Collas and Incas along the shores of Lake Umayo.